Hibs have submitted a bid for FC Ashdod goalkeeper Ofir Marciano, according to reports in Israel. 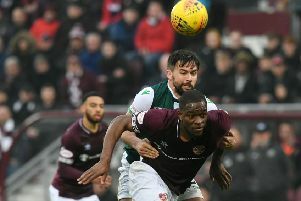 Marciano was on loan at Easter Road last season and both he and Hibs head coach Neil Lennon have made no secret of their desire to make his stay in the Capital permanent. The 27-year-old has another year on his contract yet to run, but a story on the Walla Sport website in Israel intimates that Ashdod would not stand in the way of a transfer. Ashdod already have a No.1 goalkeeper in place for next season in Yoav Jarafi. Marciano made 28 appearances for Hibs last season and was a key part of the team that won the Championship title and reached the semi-finals of the Scottish Cup. He also regained his place in the Israel national team while in Edinburgh.